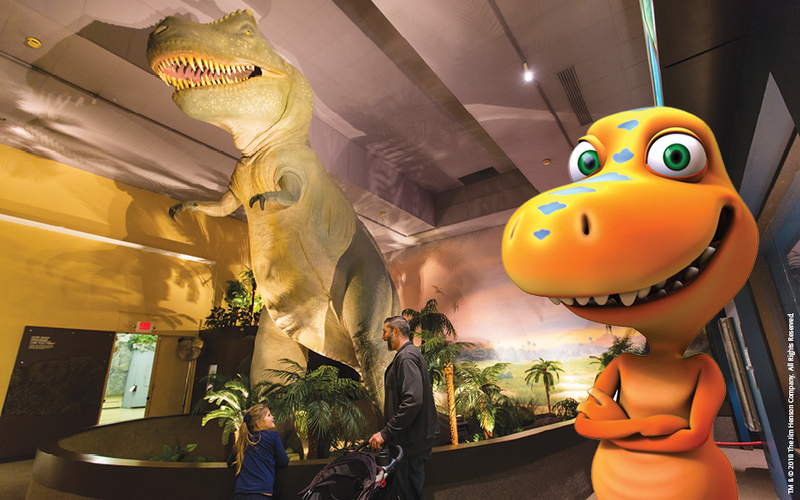 The Springfield Museums present Stomp, Chomp, and Roar: Dinosaur Week during April School Vacation April 15-19, 10-am – 5 pm at the Springfield Museums. Why dinosaurs? Because kids LOVE dinosaurs! Even parents love dinosaurs—because dinosaurs help their kids learn about all sorts of stuff. Jenny Powers, Family Engagement Coordinator at the Springfield Museums likes to take advantage of dino-fascination to facilitate some edutainment (education + entertainment). Powers also mentioned how studying dinosaurs leads to all kinds of skill building—measuring, digging, dancing. Well, maybe the dancing is a stretch, but the rest is solid scientific exploration thanks to dinosaurs.